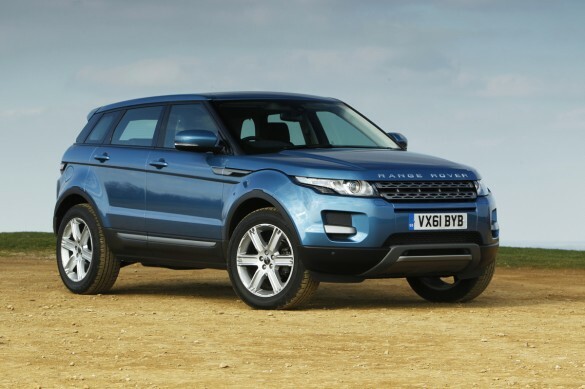 Land Rover’s right-sized and urban-chic crossover, the Evoque, has been a huge global hit for the British automaker. Sales have been so good in the United States that inventory shortages are a problem in several regions around the country, and Land Rover dealers have been vocal about not having product to sell. The automaker has been listening, and has agreed to ramp up production of U.S.-bound units. Automotive News (subscription required) quotes Jaguar Land Rover North America CEO Andy Goss as saying that allocation will grow from the current 750 units per month to 1,000 units per month, beginning in September. While that’s too late in the year to have a significant impact on Land Rover’s total U.S. sales, it’s a safe bet that the additional inventory will help Land Rover deliver more than the 4,355 Evoques it shipped in the first half of 2012. Despite a tough economy, Land Rover’s U.S. sales are up by 21-percent over last year. With a string of new product introductions (including a new Range Rover and an all new Defender) planned for the coming years, Land Rover appears to be as poised for growth as its sister company, Jaguar. Like Jaguar, Land Rover appears to be focused on broadening its appeal across demographics, and the upcoming Defender will even be priced to compete with more mainstream off-roaders, such as Toyota’s Tacoma pickup and FJ Cruiser SUV.